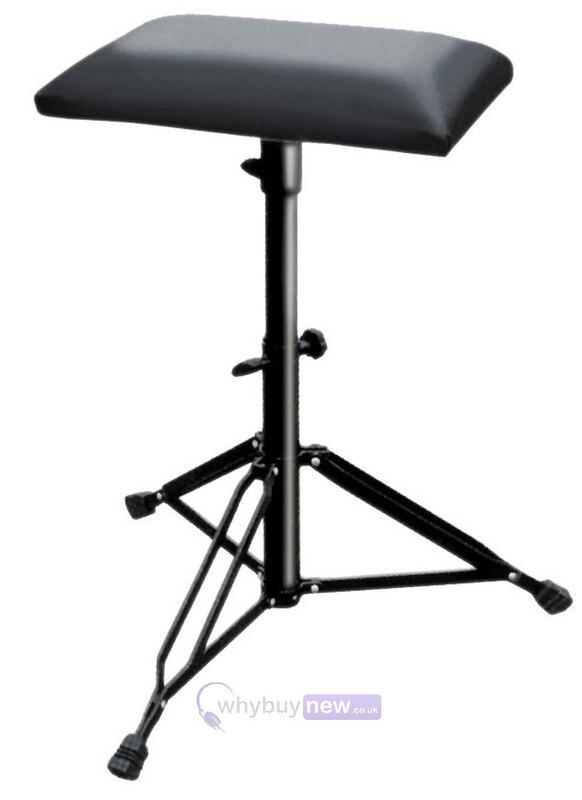 Soundlab high quality metal drum stool with folding legs and a padded, square style seat. Finished in black. 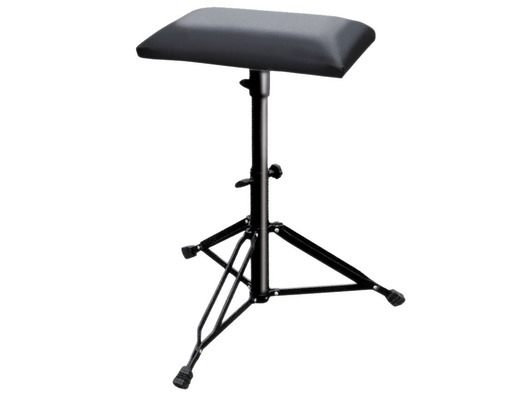 I bought this stool as I play keyboards and although I don't want to stand up I don't want to be sitting too low down either, this stool goes high enough that I can use it to perch as I was hoping. It is fairly sturdy and is easy to adjust height-wise.